Once we have our pivot table built, we may want to create a chart or graph to see the results. Let’s use the data still from the previous pivot table posts.... Love the idea of doing a chart off a “regular” table based on a pivot table. Gives a lot more options of what you can do. Gives a lot more options of what you can do. I also love the way you did the budget part of the chart – the solid border and no fill. You might want to create a second pivot chart using the same data source, to provide a different view of the same data. Let’s take a look. Here we have a simple pivot table and pivot chart already set up. how to create concept art Use a pivot chart instead of a pivot table. see here. Its also possible to convert your existing table into a pivot chart. see here . edit 2: option 3 seems not to work for bubble charts after all. A pivot table is a summary of your data, packaged in a chart that lets you report on and explore trends based on your information. 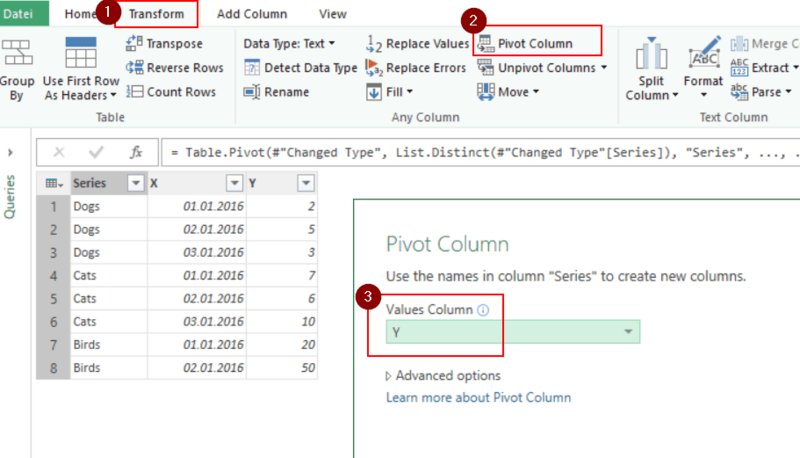 Pivot tables are particularly useful if you have long rows or columns that hold values you need to track the sums of and easily compare to one another. Create the pivot table and then click any cell in the pivot table on which you want to base the chart. Click the PivotChart button in the Tools group of the PivotTable Tools Options tab. The Insert Chart dialog box appears. Once we have our pivot table built, we may want to create a chart or graph to see the results. Let’s use the data still from the previous pivot table posts. You can easily interpret a pivot table rather than a raw data. But the easiest way to spot trends is using Pivot Chart. 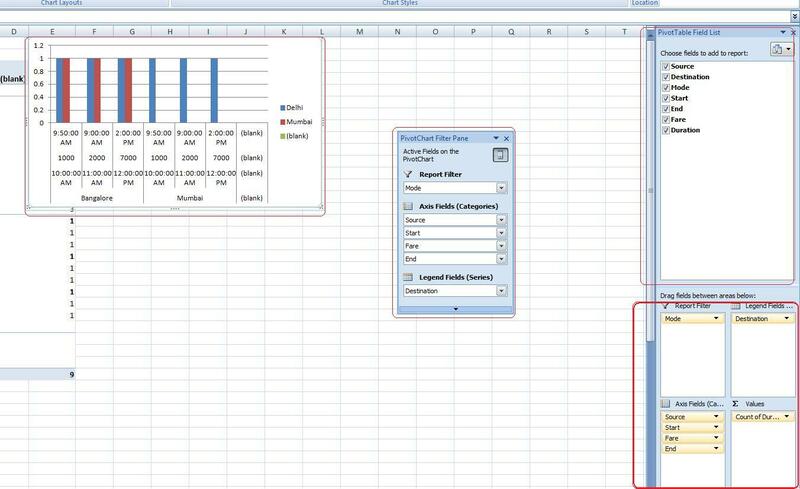 To create a pivot chart, select any cell in the pivot table and choose PivotTable Tools Analyze Tools PivotChart.